If you follow me on Facebook, you'll know that I post a daily find - a great product or DIY project that I've found online or in blogosphere. (If you're not following me on Facebook, you better get on that already, or you'll be missing out on more daily finds, sneak peeks, and tidbits of advice). Since we've reached the end of October (already, I know, right?! ), I wanted to compile a list of my favourite finds from this month. So, without further ado, let's get cracking! 1. I love this DIY project that I came across on Pinterest - take a simple metal folding chair and add a little spray paint and upholstered seat and you have yourself a great little perch. You can read more about the project here. 2. I have quickly become a huge fan of MadeByGirl - a very talented blogger that is ultra creative in artwork, jewelry, and poster prints. Like this LOVE print that has become one of her signature pieces. And since I've been thinking lately of creating my own little office at home, I think this picture would make a great addition on my wall. 3. 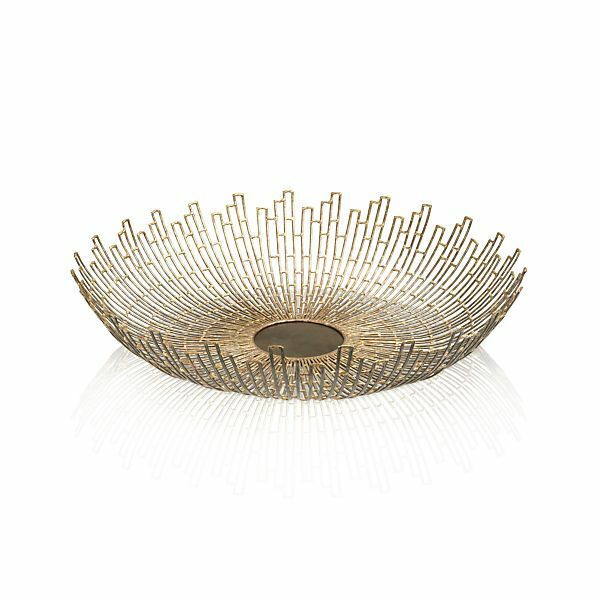 I came across this gold starburst bowl on the Crate & Barrel site, and I fell instantly in love. Not only is it timeless, but it is beyond chic. It would look great on a dining room table, coffee table, or holding fluffing white towels next to a soaker tub. 4. 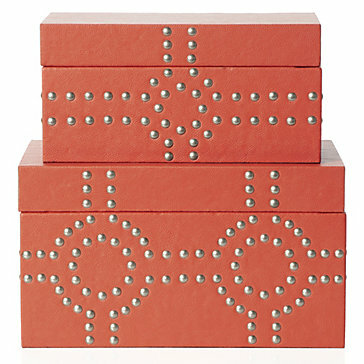 There is something to be said about organizational products that are both functional and stylish - such as these great little Bodega storage boxes in coral by Z Gallerie. I think these would be great in a home office holding business cards and supplies, or in a walk-in closet housing vintage earrings and bracelets. 5. There are so many different styles of chandeliers on the market (you can actually read more about that here) - drumshade, crystal, orb, and lantern (just to name a few). So there is nothing more refreshing than seeing a modern take on a classic light such as this Eclipse chandelier from West Elm. I'm Katherine Martin and I'm a self-proclaimed interior design junkie. I recently started my own interior decorating company, KM Decor, based in Ottawa, Canada. This is my blog - where I'll post progress on my current projects, my design inspirations, and plenty of pretty pictures.